As anyone who’s ever tried to board the El around 5 pm can attest, Windy City life can be a fast-moving, hectic affair. To help maintain your sanity (especially after five months of winter), it’s best to take a few moments to stop and enjoy the little things that make living in Chicago so worth it. So until it warms up enough for there to be actual roses for you to stop and smell, appreciate your time by partaking in these simple pleasures that will make you feel grateful to call Chi-town home. 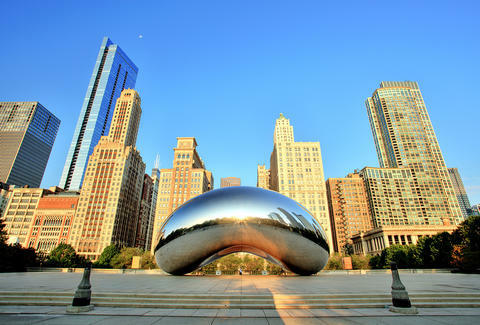 A visit to the less-touristy, leafy sections of Millennium Park is an experience to be enjoyed all seasons of the year. 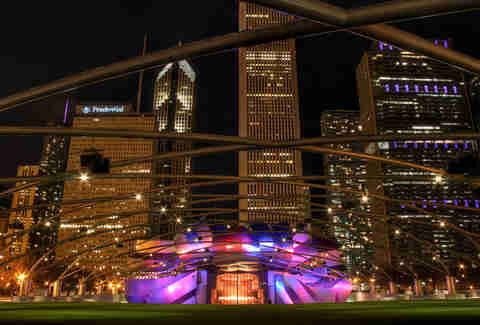 Yet the park reaches its apex of appreciation when experienced on a warm summer day with a free live band playing at Pritzker Pavilion. To sprawl out on the lawn with a blanket and some refreshments is to know true happiness. 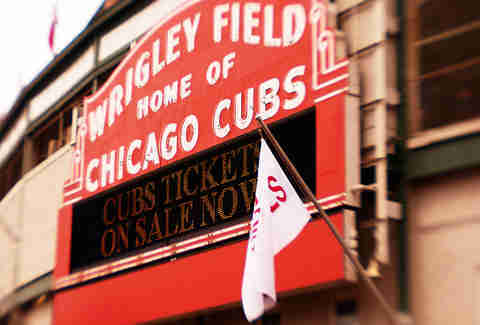 Catching a ball game inside Wrigley is course a simple (if increasingly expensive) pleasure, but a cheaper (and some might say simpler) thrill is just standing outside the gates and listening to the roar of the crowd as the wood bat makes contact with a mid-plate fastball sending Kris Bryant racing down the line. Of course, adding a beer and dog in hand is always a bonus. A night spent crawling through the dive bars around Wicker Park can be a grueling affair that tests the sheer limits of human endurance… until you look up to see the glorious red cooler of the Tamale Guy beckoning in the doorway of the bar. And suddenly everything makes sense in life. It’s like the Kool-Aid Man just burst through the wall, delivering a jolt of energy along with a red-hot pack of tamales. When you’re feeling the stress of city life, few sights immediately put things into perspective quite like an open view of the water. Whether you’re staring at it for hours or just glimpsing out the window along Lake Shore Drive, its calming deep blue demeanor instantly puts everything in a new (and better) light. Chicago bars are almost as famous as its ballparks and mayors, but things aren’t quite the same once complex mixology gets involved. For a more simple pleasure, ensconce yourself in the colorful surrounding of a glorious Chicago slashie (part bar/part liquor store) and chat up the most awesomely eclectic collection of randoms that will soon be your new best friends. 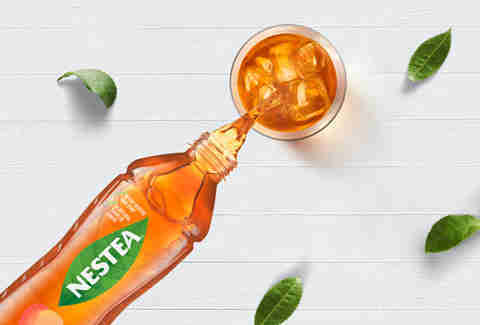 NESTEA has its own spin on Simple Joys, offering a new recipe including less ingredients and delicious tea leaves from Nilgiri, India. Because less is more. 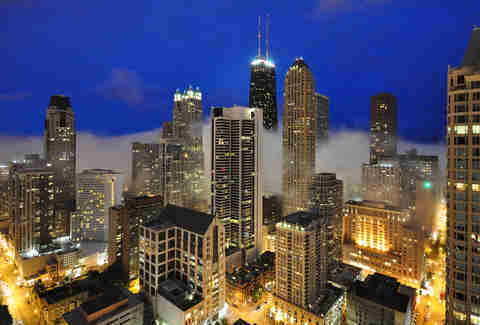 Chicago’s impressive skyline is appreciated and ogled the world over. And while tourists flock to the "Willis" (no self-respecting Chicagoan accepts the recent name change) Sears Tower Skydeck, few activities beat out the perfect pleasure of gazing out at the expansive skyline while holding court at one of the city’s best rooftop bars. Cocktail in hand, of course. Chicago is packed with neighborhoods you know and love (and, in winter, refuse to leave), but to truly experience the “city of neighborhoods” is to get out and actually… experience the neighborhoods. You’ll feel proud as Jacques Cousteau when you get out and realize, hey, there is actually life west of Western Avenue beyond Logan Square. 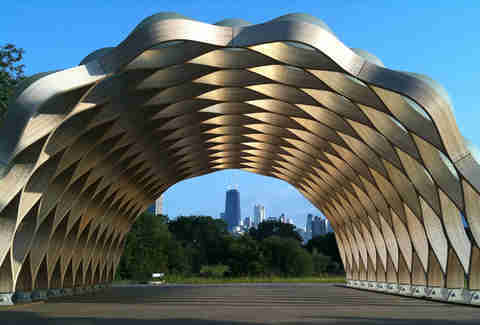 Life that includes an archery range in Humboldt Park. 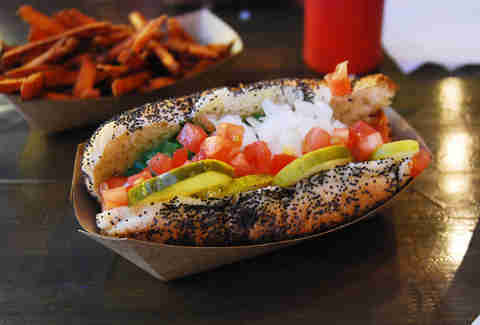 And in Elmwood Park, Chicago's best Italian beef. No matter how many times you’ve visited Chicago’s massive free zoo in the middle of a massive park that you wander through pretty much whenever the heck you feel like it, is a fact that should be never be forgotten. It should be appreciated. And taken advantage of. They even have their own adults-only nights once a month on Thursdays, and a craft beer fest. Beer and zebras, the perfect pairing. Nothing brings the full scope of the glory of everything that living in Chicago can be than a picture-perfect day spent on the beach enjoying all-encompassing skyline and water views from all sides. For optimum results, trade in the crowds of North Avenue Beach for a peaceful respite at Ohio Street Beach and nearby Milton Lee Olive Park. From burgers and wings to Cuban and Afro-Caribbean culture, Chicago has you firmly covered in the festival game with a festival going down every weekend in every neighborhood for every possible reason. To walk down your local street fest with a sangria in hand is to appreciate the fine gift of Chicago summer. Jay Gentile is a Thrillist contributor and he sometimes spots the Tamale Guy in his dreams. Follow him @innerviewmag.